OSU Communications’ website provides a great selection of photos we can download and use for free for our daily work. I use a lot of the images to breath life into my presentations, flyers, videos, and internal staff site. Click through the gallery to see if you can find what you need, or even submit your own photos! Tip: Once you click on a gallery, scroll down; the images load underneath the list of galleries. 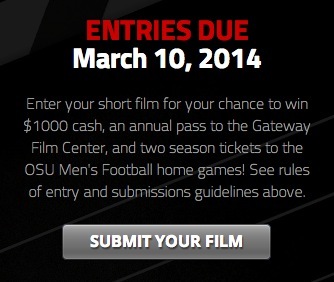 For a chance to win $1000, submit a 2 minute video of why you love OSU to the Buckeye Film Festival now being hosted by the Gateway Film Center. You have until March 10. Go! 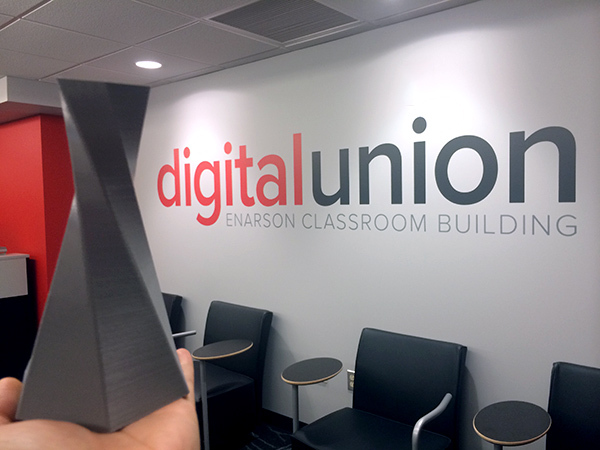 If you’ve never made a video before and need help, come on over to the Digital Union. We can help you figure out how to use your camera, even if it’s just the one on your phone. We can also help you get the footage onto a computer to cut together your shots, record a voiceover, add titles and transitions, and anything else keeping you from that $1000 prize. See you on the big screen! Yesterday, I saw a car w/ a giant, fluffy, pink mustache, and thought it was just our friendly neighborhood hipster on his way to score another pair of second hand skinny jeans. 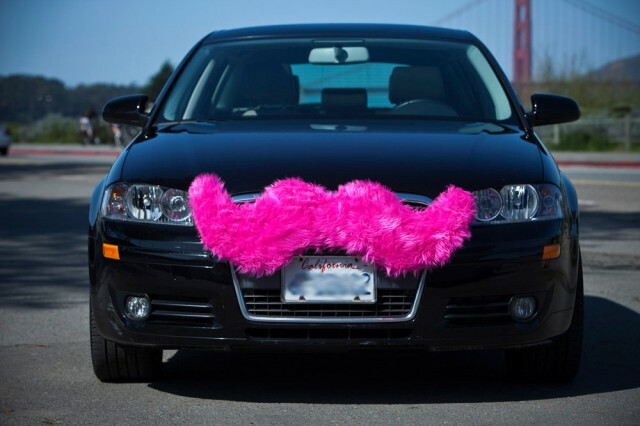 Turns out this is a new thing called Lyft; think of it as the Air BnB of taxis. See Ira Glass Sunday 3/2/14! 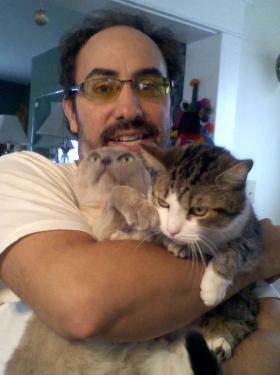 Fans of This American Life rejoice! 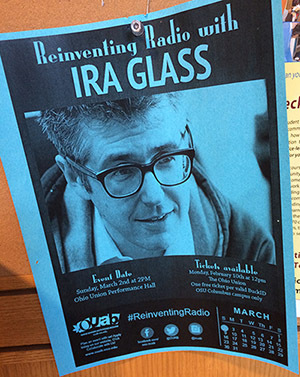 Ira Glass is speaking at the Ohio Union this Sunday March 2, 2014. Tickets are free; one per BuckID from the Ohio Union. The OUAB website indicates this is a student event, but my colleague just confirmed that staff can now get tickets too! 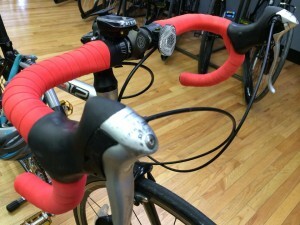 New to the show? Dive in and listen now! This live stream option plays through the 18-year archive of episodes.